The simple first step to making your acoustic kit a hybrid powerhouse. 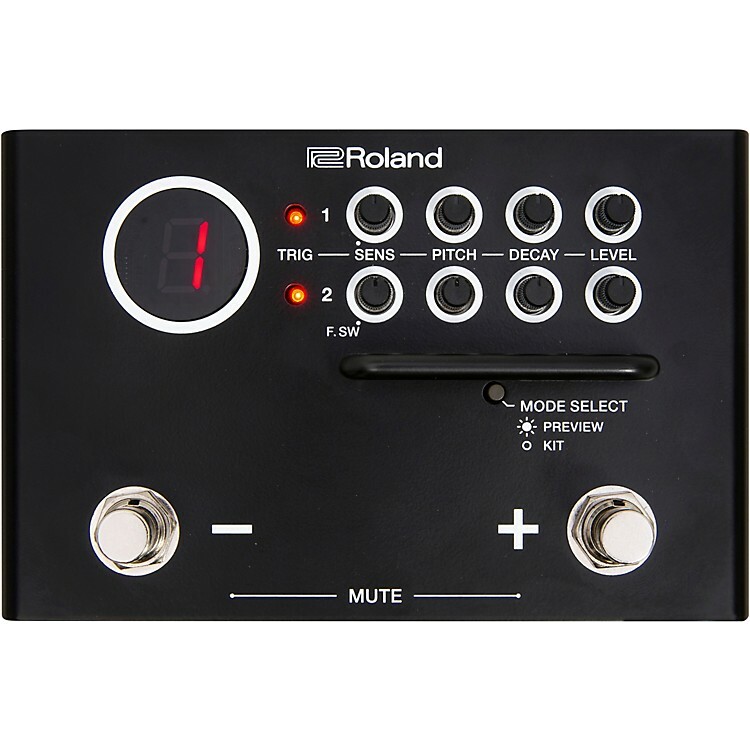 Hybrid drumming begins with the Roland TM-1 Dual Input Trigger Module. them together through the PA, providing increased punch, clarity, and depth that perfectly complements your core acoustic sound. For years, metal drummers have been enhancing their kick drums with electronic samples—especially when playing fast double-kick phrases—as it really helps cut through a dense mix. But this technique isn’t just for speed players; every drummer can take advantage of these powerful hybrid benefits with the TM-1.